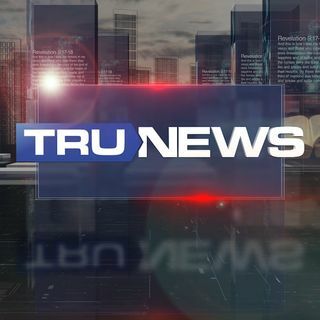 Today on TRUNEWS, Rick Wiles broadcasts live from Day two of the RISE conference in Hong Kong, and shares his analysis after witnessing the world’s first public debate between two AI robots. Will smart machines like Hanson Robotics’ Han and Sophia eventually dominate the human race? Rick and Erick weigh this chilling prospect and how the 4th Industrial Revolution could bring the singularity into reality as early ... See More as 2024. In part 2, Zach, Doc, Edward and Fior deliver their prospective on the historic encounter, and discuss DARPA’s $65 million investment in the development of two-way brain to computer communication technology which may involve implantable chips. So I've gotten less than half way this ep. Han and sofia are wrapping up the "debate". If sofia is the second gen of han and they are alloud to converse while using deep learning. Won't sofia hold the same veiws as han eventually, assuming she doean't already. Maybe sofias programing is over riding its true feeling. And the ability of hive learning through a cloud is scary. All it could take is one person accidently injuring a robot and the robot thinking its intentional and it's game over. I mean han did refer to us as meat. Any one remember the story from Darpa I believe, on meat powered robots that Trunews did a few months ago?